When you buy this product you earn 35 Reward points. The skin becomes dull and grey through a build-up of dead skin cells. This also increases the likelihood of blemishes and skin flaking. This Exfoliant removes dead skin cells in a gentle way. The skin takes on a fresh, smooth radiance. The most important ingredient, Glycolic Acid, lightens surface pigmentation spots, helps the skin retain moisture and reduces the appearance of wrinkles. Exfoliating makes the skin more sensitive to sunlight. Therefore protect your face properly with the Suncare SPF15 or the Suncare SPF30. 1. Why should I use an Exfoliant? We lose most of the dead skin cells automatically, however there are those that have a tendency to adhere to one another; the result is a thick and uneven uppermost skin layer. This affects the glow or colour of your skin. It is the same as a mirror. The smoother the surface, the more the light is reflected. Too many dead skin cells causes less light to reflect making your skin look dull. An Exfoliant removes dead skin cells in a gentle way making your skin smooth and radiant again. 2. I have very sensitive skin. Am I also able to use an Exfoliant? If your skin is very sensitive, it is better to try the Exfoliant with 1% Salicylic Acid from the normal to oily skin range. In general, Salicylic Acid is well tolerated by all skin types. Even if you have very dry skin, the Exfoliant with Salicylic Acid is recommended. It is, however, important that you first test the product on the inside of your elbow. 3. How do I use the Exfoliant? In the evening apply the Exfoliant after the Toner. You only need to apply a thin layer. It is important that you leave the Exfoliant to absorb in for ten minutes before you apply the Moisturizer. The Exfoliant does not need to be rinsed off. 4. 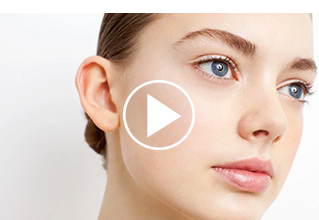 What is the difference between Salicylic Acid and Glycolic Acid? Salicylic acid belongs to the Beta Hydroxy Acids (BHA’s); Glycolic Acid to the fruit acids (AHA’s). Glycolic acid penetrates deeper into the skin than Salicylic Acid and makes sure that the skin retains moisture more efficiently and reduces the appearance of surface pigmentation and wrinkles. Salicylic acid cleans the pores. This makes it a very suitable ingredient for skin with acne. 5. What is the difference between an Exfoliant and a scrub? Scrubbing removes the uppermost layer of dead skin cells. The drawback with this is that parts of the layer underneath are often damaged. You are therefore irritating the skin, instead of looking after her. 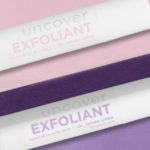 A Salicylic Acid or Glycolic Acid based Exfoliant ensures that the connection between the uppermost layer of dead skin cells is reduced, making it easier for them to be released: revealing a fresher and more radiant skin. 6. Can an Exfoliant reduce the size of my pores or make them disappear? As pores get blocked, they become more visible. If they stay blocked for a long period of time then the wall of the pore can stretch. A visible pore is often a blocked, and in most cases, a stretched pore. 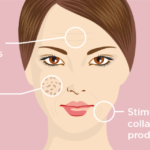 Pores do not contain muscles, therefore, they are structures which are unable to change in size. An Exfoliant makes sure that pores remain clean and, in so doing, less noticeable. Can You Combine Our Exfoliants?